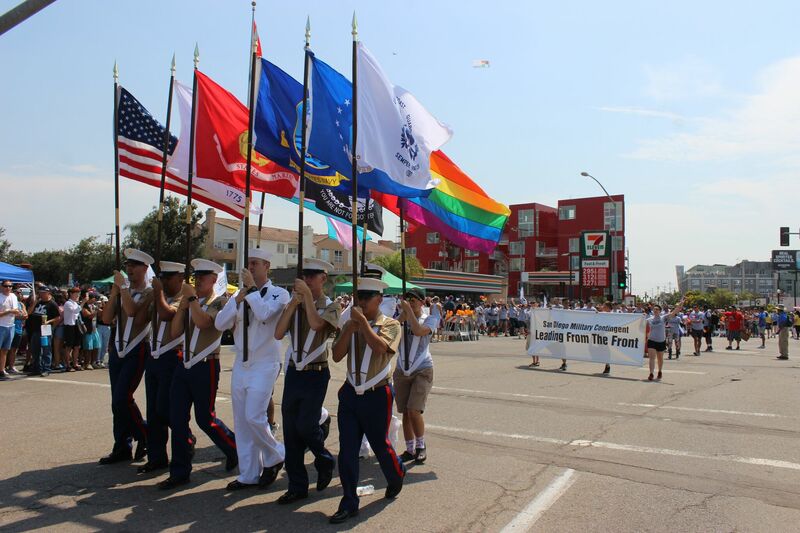 In 2011, San Diego became the first city in the nation to have a contingent specifically for service members and veterans in its annual Pride Parade. Ever since, the Contingent has been a key part of this signature event. 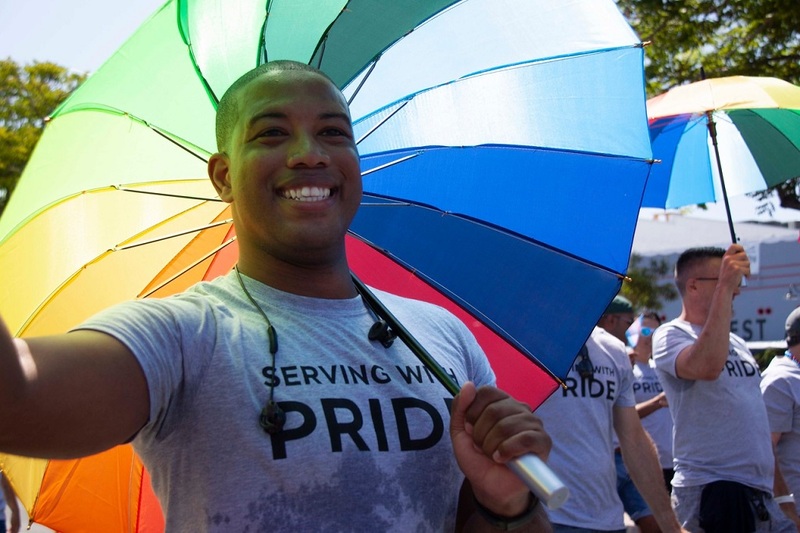 In 2019, we are continuing our tradition of welcoming all members of the United States Armed Forces, members of allied forces, and family members to join the Pride Parade Military Contingent. We are proud to honor those who have served our country, both here and abroad, and we provide this opportunity to recognize them during San Diego’s largest civic event. March with the Pride Military Department in the San Diego Pride Parade! Registration is now open and free to join. Please note: Active duty service members must check with their commanding officer for additional information, direction, and instructions on wearing their uniform in the parade. The U.S. Marine Corps and the U.S. Navy have both issued directives encouraging their respective commands to observe LGBT Pride celebrations. Once you register, we’ll email additional information about check-in and other details that you’ll need to know for the day of the parade. Check out this article from LA Times on our Pride 2015 parade! For questions and information please contact Kelly Gilliland at [email protected].